We all want to make our lives more adventurous and enjoyable. But deciding what you need to do to feel the adrenaline rush is a tough job. 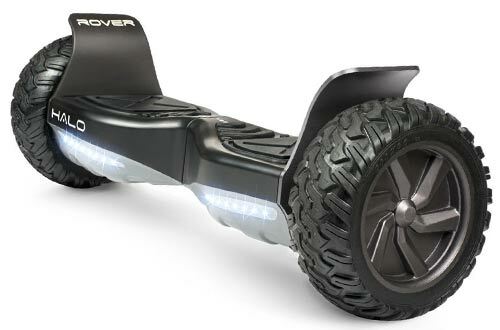 Among the few, there is something extremely enticing about the off road hoverboards. Now we all know what a hoverboard is; but what is an off-road hoverboard? It is something that can glide you past those bumps and rocks without any trouble. 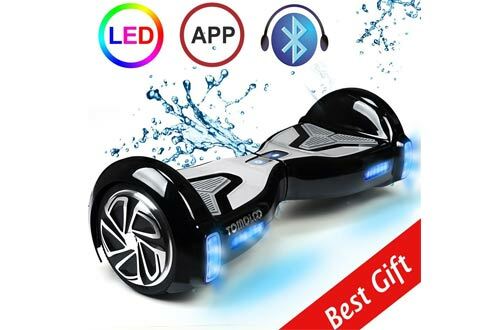 Hoverboarding is kind of a new sport that has become extremely popular in the recent times, owing to the highly amazing technology and added a thrill. But when it comes to those off-road trails, rocks, shrubs and even the unpaved paths, hoverboards seem to lose out on the appeal to the hoverboards. So the question arises, how will you choose the one that can offer you the adrenaline rush? 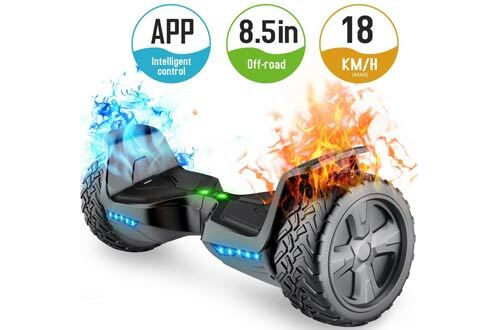 The list we created for you features the top best off-road hoverboards you can choose and have an amazing time. 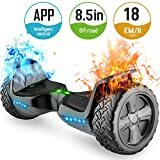 The looks, built and balance on this hoverboard is unparallel and quite ideal for all kinds of terrain ranging from gravel roads to grassy plains. Superior quality aluminium body along with ABS plastic interior ensures that the internal components are not damaged whatever the road conditions are. Moreover, the premium quality Sentry-Shield Lithium-ion battery takes a maximum of 3 hours to charge and can power a speed up to 12MPH. 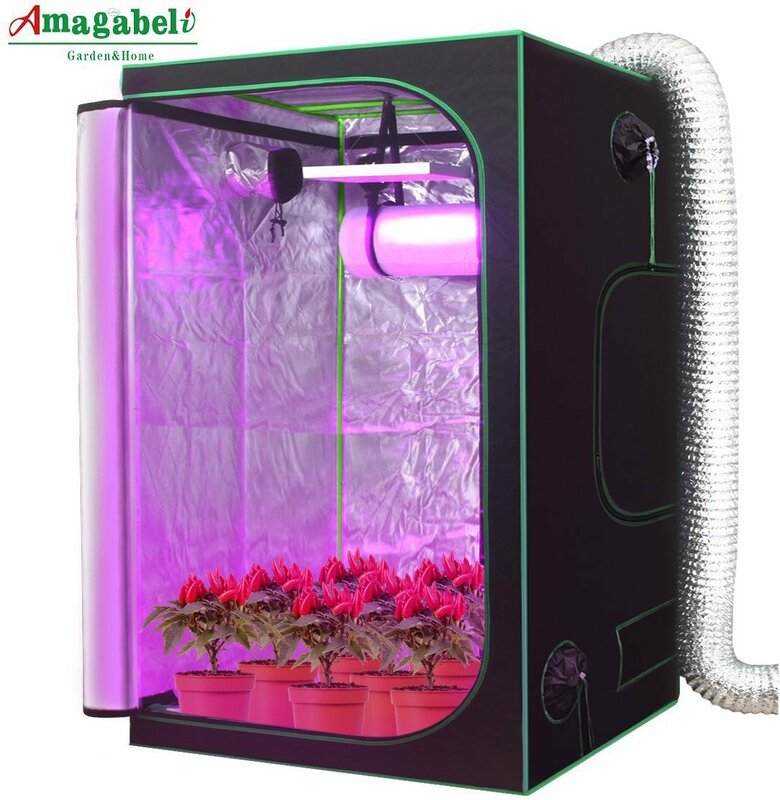 It has a lot of other fascinating features like a battery indicator, turning lights and even LED lights for all situations. 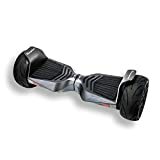 Most importantly, the hoverboard has a pair of 10” tubeless rugged tires that can take on any challenging terrain and even handle a weight up to 420 lbs. Forget your shape or size and glide across those adventurous roads without any worry. 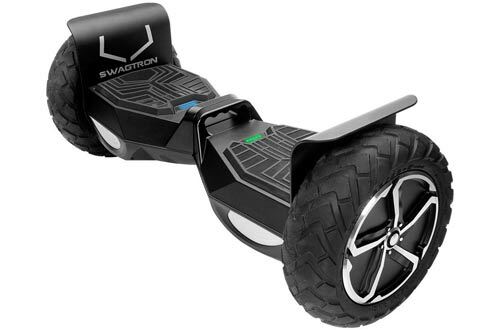 This premium looking off-road hoverboard promises you a thrilling ride on the unpaved roads and rocky trails. 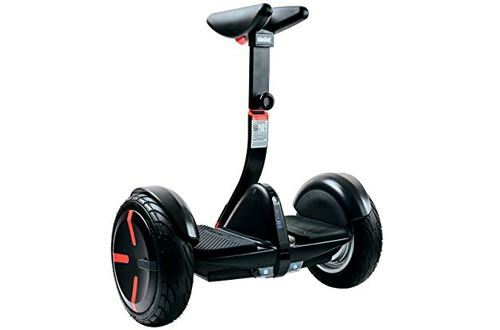 It is amazingly safe but never will you have to compromise on the fun part as it can produce a super speed of 10mph and run for 10 miles on single charge. The 8” large shock absorbing solid tires made of rubber has the capability to run on any terrain and make the most of it. Plus, it is water resistant and comes with dual LED lights that can light up the ground beneath you. Two hours of charge time on this hoverboard can take you places and can even support a maximum weight of 220 lbs without any trouble. Engineered with the trustworthy and reliable Halo technology, the Hoverboard ensures you get a smooth ride and optimal comfort each time you step on it. 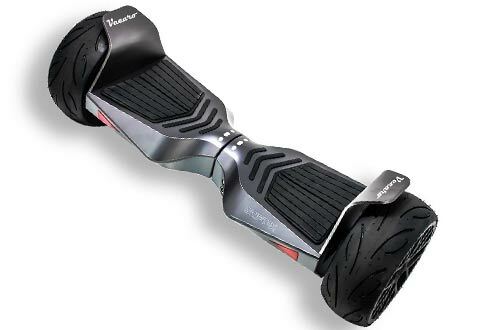 Besides providing a comfortable ride even on the rough roads, the hoverboard can climb hills having a 20-degree grade. Designed with safety for the riders in mind, it has LED lights pre-installed for better visibility and aluminium protective guards and wheels for any uncertain impact. The smartphone application from Halo lets you have total control over the speed, distance and power of the hoverboard. Adjust the steering sensitivity for every ride, so that you are never at risk. Wait no more to challenge the dangerous roads. We all love hoverboards that have off the edge looks and functionality. The Tomoloo Hoverboard is ultra modern in terms of looks and features and even complies with all the U.S. Safety regulations. Apart from looking outstanding, the Bluetooth speakers and RGB LED lights to assure you to provide with an incomparable riding experience. 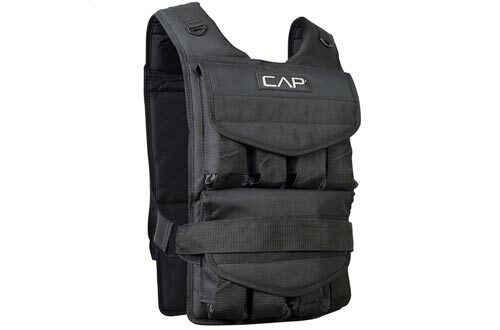 It has a stand out safe balancing technology that provides a super thrilling and safe experience altogether. Along with professional gyroscopes and acceleration sensors, it also has a motherboard for enhancing your experience. Have the ride filled with amazement and glamour, and keep on riding for over 10 miles with one full charge. 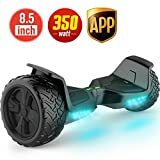 Powerful yet safe, the Epikgo Hoverboard is a smart choice if you are looking to have a fantastic riding experience irrespective of the road conditions. The 400W dual power motor can glide through effortlessly on any type of roads, bumps and even slopes at a maximum angle of 18 degrees. Moreover, it can reach a maximum speed of 10 miles per hour. Most importantly, it can run smoothly for over 10 miles on one single charge. The booming 10W Bluetooth speakers add more thrill to the adventurous journey. Ride any terrain with style, speed and efficiency with this hoverboard. 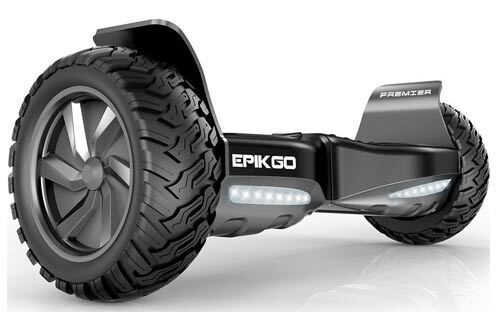 Designed particularly for the off-road thrills and spills; the Phantom Hoverboard from Evercross is an exciting choice if you decide to challenge and dominate those unpredictable roads. The 10” large rugged tubeless tires travel with ease and the power on this beastly machine can churn out a top speed of 12kmph. Plus, it can run for 17 km without the need of a charge. Cruise through the bumpy roads and listen to your favourite music on the go as the integrated Bluetooth speakers will give you an outstanding amount of joy. Designed with unique features and premium quality materials, this self-balancing transporter is one of a kind. It features a pair of 10.5” pneumatic air-filled tires that promises you a relaxing and smoother ride. 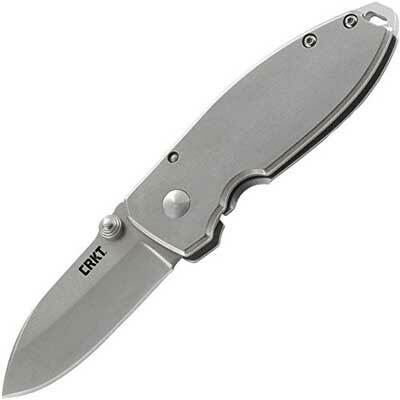 The aircraft grade magnesium-alloy material ensures supreme durability and long-term running and can even withstand a weight of 220 lbs without any hassle. 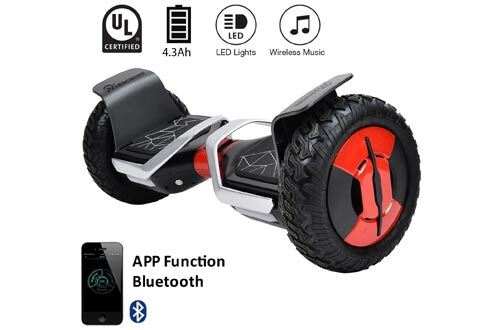 Also, it comes with a mobile application which connects your phone with the off-road hoverboard over Bluetooth and lets you have the control to a wide range of options like remote-control operation, speed, power, lights, firmware updates, and even an anti-theft alarm. Prepare for a ride filled with fun and amazement. The UL2722 certification on the Tomoloo hoverboard promises guarantee and ensures safety every time you step on it for an amazing experience. 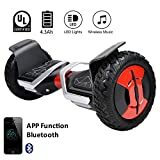 Combined with a number of stand out and unique features, the amazing off-road hoverboard from Tomoloo claims to have the most advanced main-board program that rewards a more stable ride every single time. Furthermore, it also goes through various strict procedures, numerous tests and many inspection processes during the time of production. It comes with a colourful RGB lighting that you can set as per your desire and even listen to your favourite tracks with the Bluetooth 4.0 system. Get ready to make an impression each time with the Tomoloo hoverboard. Manufactured with precision and power, the Vecaro Drift is undoubtedly one of the best off-road hoverboards out in the market. 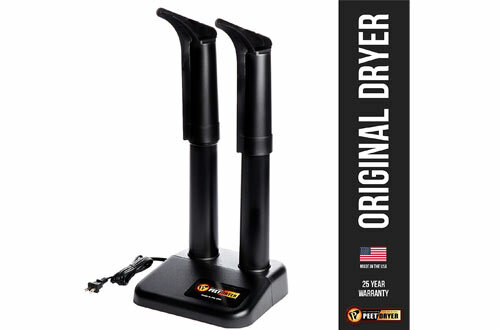 It assures the customers to use without any risk of overheating, smoke or fire and even comes with an Auto-Balance technology that makes it user-friendly for every kind of riders. The authentic Samsung cells in the 36V Lithium-ion battery makes every ride smoother and longer as this can go up to 11 miles with one single charge. Moreover, it comes with a mobile application that lets you have total control over the speed and force. 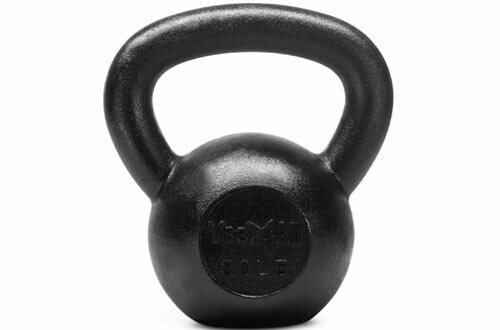 Above all, the strong built quality can even withstand a weight of 240 lbs with ease. 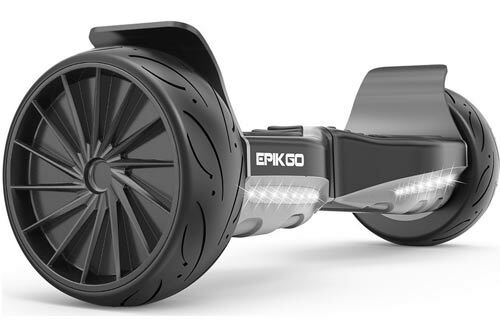 Epikgo is one of the most trustworthy brands which make their hoverboards appealing to a wide range of customers. 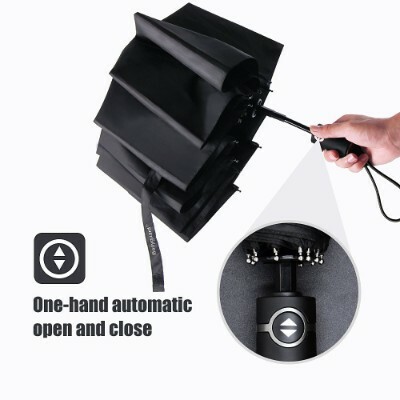 This product makes it to the top of the list for the amazing features it has. 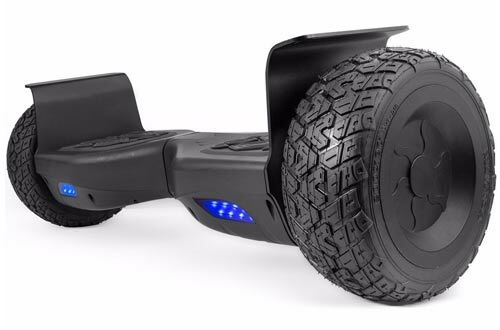 It comes with 400W dual motors that can help the hoverboard to climb up slopes or run for 10 miles when fully charged. All terrain 8.5″ tires with stream-lined racing design help you move faster as well as smoother and master any type of land ranging from grass to sand. Moreover, the design makes it larger than most other hoverboards so that you can enjoy a larger foot-space, have a better balance and control apart from experiencing a more stable ride. Even better, the EPIKGO SPORT comes with a built-in fast charging technology that helps the hoverboard to power up in less than 2 hours. Take it out for the fun rides without worrying about terrain, battery or power. Still wanting to own an amazing off-road hoverboard? Then pick the best for getting started with your adventurous sessions.